When we bought the flight tickets that's when the reality set in. While I am thrilled to begin a new life, in a new country, and explore my partner's culture even deeper, I am starting to realize all of the things I will miss. I have been here my whole life. 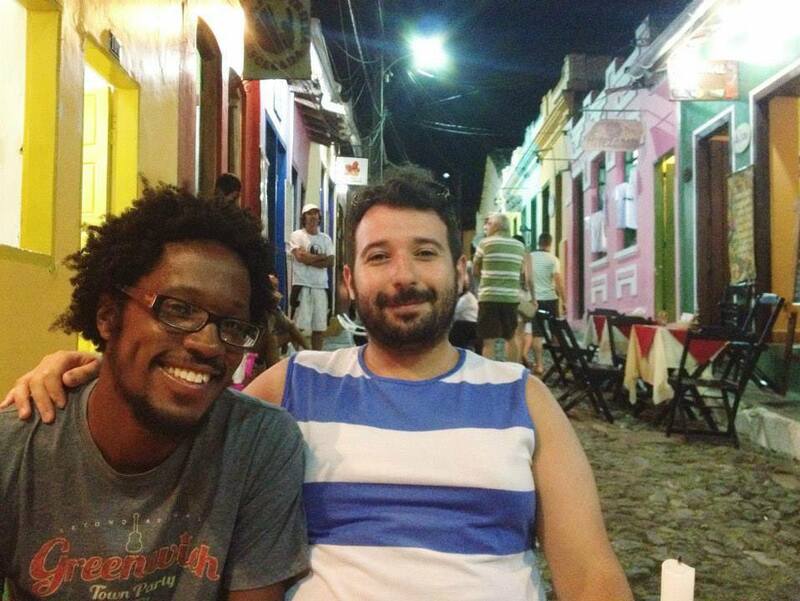 My partner and I in Lençóis, Bahia last year after exploring Vale do Capão. Five years ago if someone asked me, where do you see yourself in five years? I would have most likely answered, somewhere outside of Connecticut. It has been a dream of mine to leave since I cleaned up my act and confronted my depression in 2009. Back then, like most people in the world I was California dreaming. Although when I finally had the chance to spend two weeks on the West Coast my dream fizzled. San Francisco is certainly a fantastic city full of vibrant people, nature and shops, but it didn't resonate with me as a place I would like to call home someday. Perhaps it's because majority of the people I know decided to move there. I even bumped into a friend on the bus which made me feel as if I were too close to home. I continued traveling after my California trip and visited Colorado, Arizona and many places in Brazil including São Paulo, Rio di Janeiro and Bahia. It was in Brazil last year that my partner and I decided we would get married, but we both never imagined we would go back and make it our home. My partner, who is Brazilian, was certain we would both find work in Europe and start a new life there. However, fate saw it another way so we are packing our bags and heading to São Paulo where he will continue his research. When we bought the flight tickets that's when the reality set in. While I am thrilled to begin a new life, in a new country, and explore my partner's culture even deeper, I am starting to realize all of the things I will miss. I have been here my whole life. This city, these people, this routine is what I know and what I am use to. Nevertheless, this familiar routine is exactly what excites me about moving away. I get to break my cycle and build an entirely new one. My recent travels have taught me that challenging oneself to a new way of living is what life is all about. I am now ready for that challenge. Besides, I can and will come back to visit and eat New Haven pizza again. I have a little more than a month before my adventure begins, but before I go my plan is to enjoy my final days in New England and the surrounding areas. One of the benefits of living on the East Coast is that getting to other cities is very simple. When you live in New Haven it's a regular thing to hop on a train and enjoy a concert or art exhibition in mega cities like New York and Boston. With a car you can go even further. Just recently my partner and I packed a car with our Marmot Limelight and spent a long weekend camping at Acadia National Park in Maine. We spent a night in Portland too before the drive up. It was fantastic! We ate plenty of lobster and doughnuts. We even stopped in Portsmouth, New Hampshire on the drive back for lunch at BG's Boat House just after crossing the bridge. So what's next on my farewell East Coast adventure? Perhaps hiking and tasting maple syrup in Vermont? Visiting Philly again? Seeing an exhibition in Rhode Island? Visiting upstate New York? I'm open to suggestions. Time is running out before the east coast weather kicks in. What would you do or have you done to explore the final days in your region?